On Saturday, March 14th, Downs married attorney Abbott Jones in an artistically romantic wedding at the Birmingham Museum of Art, which is part of the UAB campus. The two met last year, through online dating, and grew close over fantasy and sci-fi, wine and travel. Downs proposed in December with Dr. Who and Lego. Her eight-year-old son was at her side, doing double duty to both give away the bride and stand as best man. 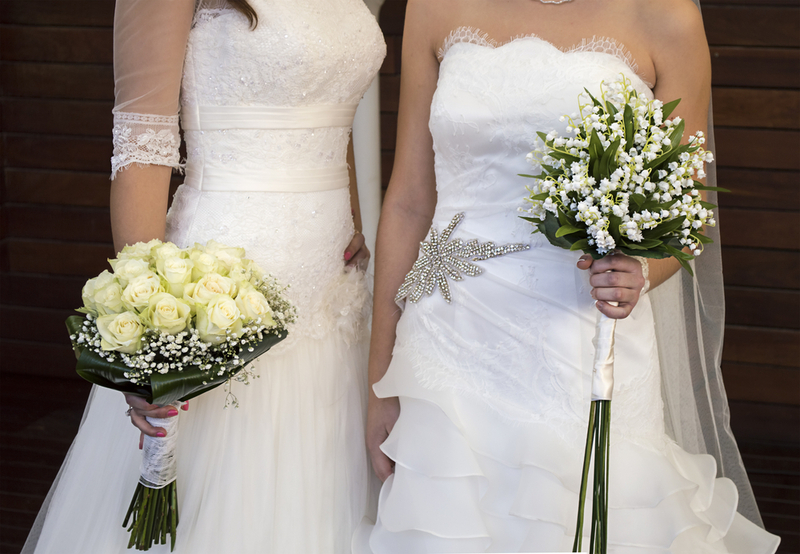 Both brides wore white and lace, and they carried matching bouquets. Queerness has a complicated history with the Miss America pageants. In 2009, front-running finalist Carrie Prejean answered a question about gay marriage with support for the idea. When she proceeded to lose the crown while one of the judges made derogatory comments about her stance on social media, it was widely accepted that she would have won if the judges had been less conservative. In 2016, Erin O’Flaherty was the first openly gay contestant to compete. Coming from conservative Missouri, she was an important first. In a competition based on the superficial and stereotyped, breaking decades-old molds is the only way to keep it relevant. Downs has not made any statement about her sexuality. She was married to a man before, Andrew Gunn, but was always private about the reasons behind their subsequent divorce. However she identifies, whoever she loves, this marriage is now an important part of the history of the Miss America Pageant, a beacon for more LGBT contestants in the future.